The years are flying by and we are still lukewarm and stagnant. What would the Church look like if we implemented God’s clear instructions? Here are some healthy activities every healthy and growing church would have in the works. 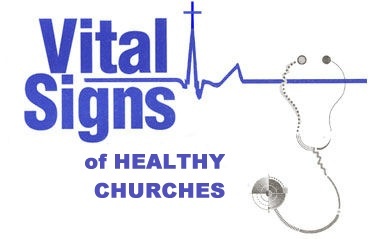 Remember: Healthy churches don’t happen by accident. We must work hard to create healthy and safe church environments where people can meet Jesus and grow in His amazing grace. If we don’t do it… who will? As a Christian, and as a SDA, I am impressed with two things about your blog. First: you have proven your integrity, and your loyalty. Second: you are standing by, waiting for something you envision ~ but have yet to find. Does that sound about right? Among the precious insights the Spirit has already granted are statements that give notice of vital truths that are yet to be revealed. And we’re told these truths will come from the lips of children if those who might have spoken them will not. One example: “Those who eat the flesh and drink the blood of the Son of God, will start into action forces that cannot be repressed. The lips of children will be opened to proclaim the mysteries that have been hidden from the minds of men.” TM:116. Another example: “When God becomes the teacher, He will be acknowledged, His name will be magnified. The students will be as were the young men in the schools of the prophets, upon whom the Spirit of God came, and they prophesied.” CT:373. We’re often told there’s no need for more “prophesyings among us,” since our prophet has given us all the truth needed to carry us through… Is this why so many refer to the RED BOOKS as the living testimony? If we could only grasp the purpose of this gift, we would realize that it is still vital to the victory of the ADVENT MOVEMENT. As a young boy, I often slipped next door to visit “Brother Starr” and listen to his experiences as one of Sister White’s secretaries in Australia. On my last visit he drew a beautiful mother of pearl watchcase from his pocket and said, “Here, I want you to keep this always as a reminder of our friendship, and all I’ve told you.” My heart thrilled to possess such a reminder. This saint was the first to tell me of Ellen White’s burden to see the prophetic office sustained in the remnant church, and from that day I’ve prayed for the restoration of this priceless gift. In college I sat in Dr. Mary McReynolds’ classes and thrilled to hear this burden expressed again. She often called attention to the repeated warnings that if the “living testimony” were continually slighted it would be removed. Regrettably, such instructors don’t long survive the progressive element. But there was another that voiced such truths; that was Elder M. L. Andreasen. THE RED BOOKS do speak – if we’ll listen. But just as there is no orchestra without live musicians to play the instruments, “the living testimony” requires live players. And just as the Testimonies foretell, irrepressible forces are yet to be set in motion in this world that will come not from our distinguished theologians and renowned evangelists, but “out of the mouth of babes” ~ from living, Spirit-filled young people.